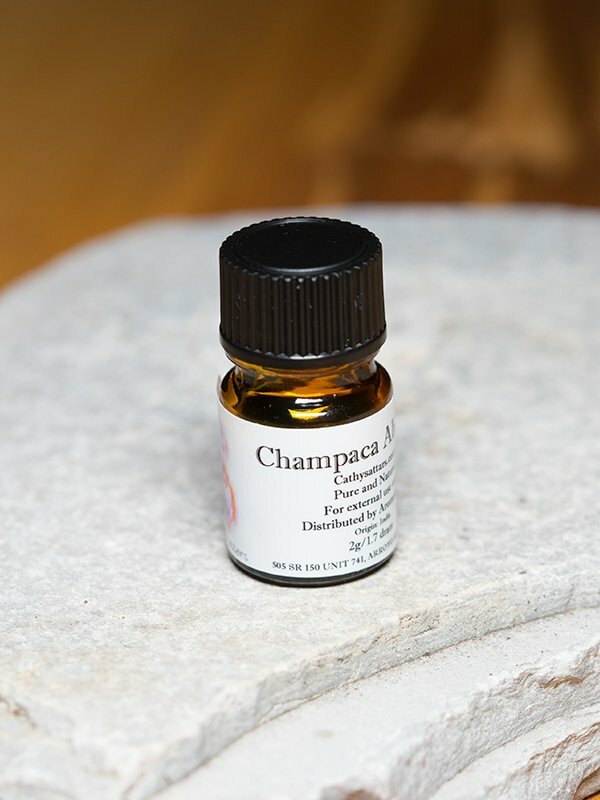 Champaca Absolute (Michaela champaca) – We couldn’t resist buying some of this exquisite smelling oil. Champaca absolute is distilled from the fragrant young flowers of the Michaela champaca tree or Joy perfume tree, native to south and east Asia and a member of the Magnoliaceae family. 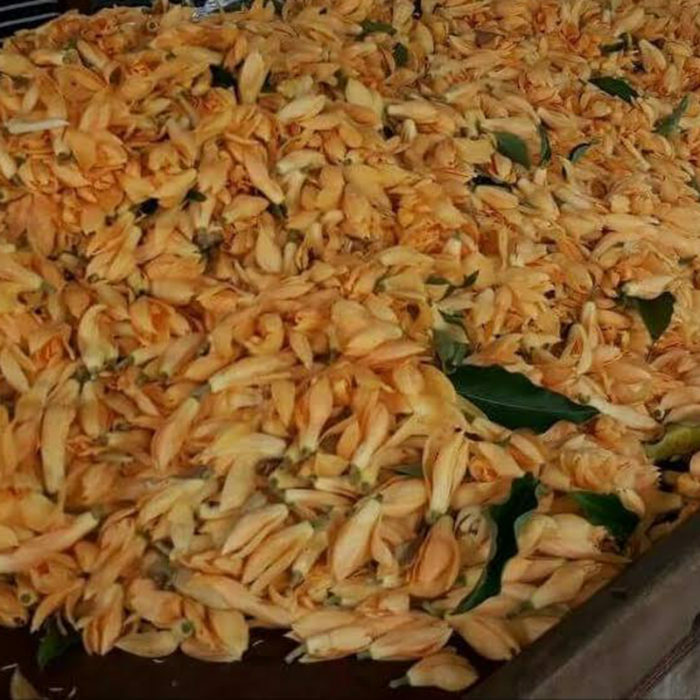 As we found out the aroma of this tree is irresistible, it is for this reason that it is used widely in high quality perfumes the world over. In south eastern Asia, an oil of the flowers is used for the hair and massage. In India this tree is considered sacred, the flowers are used as offerings to the gods and in particular Lord Ganesh. This absolute is sacred and intense, barely a drop is needed. In fact, just a whiff is best.